The history of climbing on the highest peaks is itself intriguing. This has been well chronicled by Louis Baume in Shivalaya. The outsiders who would come to visit Nepal were the mountaineers looking for ways to climb the highest peaks. They wrote more about the countryside in the past. 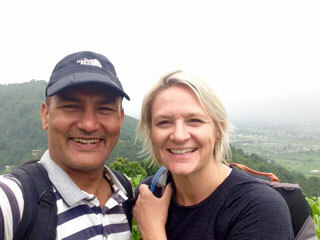 Nepal’s smaller trekking peaks should not also be underestimated. They are not trivial. They are difficult and dangerous too. Those who do not have substantial experience in alpine climbing, better not to dream to scale them. A Sirdar, or guide, registered with the NMA must accompany each party. All climbing must be clean, hardware must be removed and camps left clean. Finally, a report must be submitted to NMA. Trekking is not problematic but the peak climbing and mountaineering is YES only to the mountaineer. If you are not familiar with climbing on rock, snow and ice, camping on snow and the understanding of objective hazards, then you first better take some training course and get an experience prior to climb mountains in Nepal.Stretching 800 km Himalayan range, eight peaks high above 8,000 m including Mt. Everest, the highest peak in the world, these irresistible landmarks are the prime attraction of Nepal. Those adventure seekers who want to scale snow capped mountains; the dream comes true in Nepal. Nepal officially opened its peaks to climbers in 1949 and since then Nepal has been the great drama theater to rehearsal the climbing and trying to get their cherished goal climbing on the top. It began with the scaling of Mt. Everest by Edmund Hillary and Tenzing Norgay, in 1953. Mountaineering teams can apply for permit at mountaineering section of the Ministry of Culture, Tourism and Civil Aviation. Climbing gears can be bought or rented in Kathmandu. 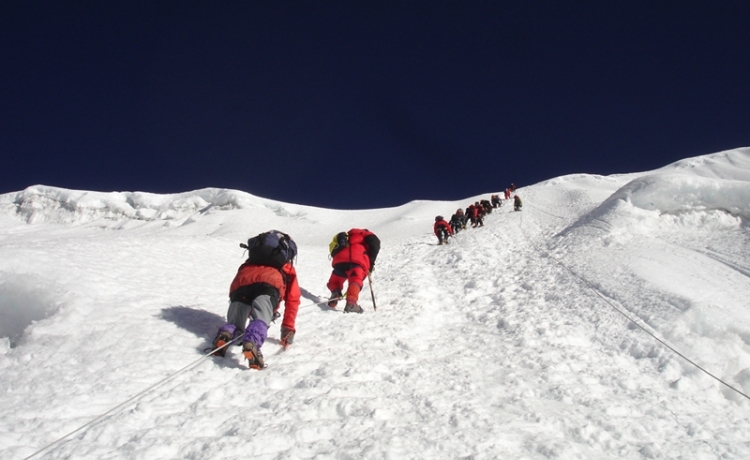 Himkala Adventure having long term experience and good track record offers various packages on Mountaineering. You can contact us for further details about Climbing Permit, Payment of Climbing Permit Fee (Royalty), Equipment for Expedition, Altitude Sickness, and Mountaineering Regulations etc.